Tangerine essential oil brings a bit of sunshine to your day with its incredible, sweet orange fragrance, but that’s not all it does. It has purifying, relaxing, health-improving properties that will make you feel and look better. I love the ﻿citrus ﻿essential oils. They are so refreshing to body and mind and have very real medicinal benefits. 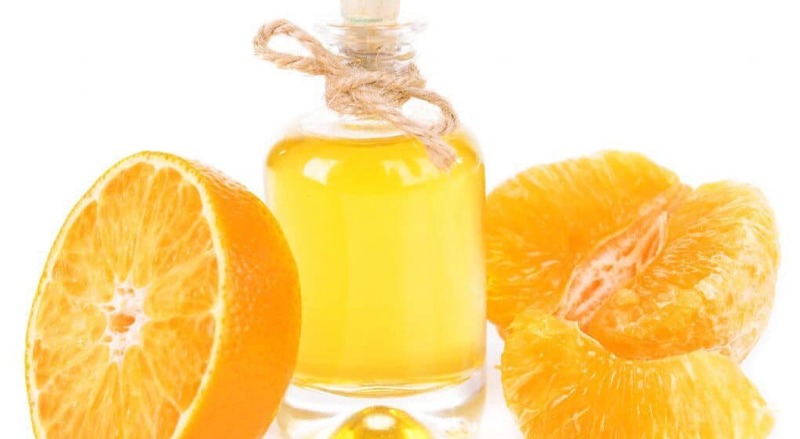 Take a look at these wonderful uses of tangerine oil. Start your day right with the fresh scent of tangerine. You don’t even need to take the time to pour yourself a glass of orange juice. Tangerine essential oil aromatherapy actually clears the early morning fog so you can begin your day with a bright, alert mind. It is stimulating and calming at the same time. Set your diffuser up in the kitchen before you go to bed. Put about 1/2 cup of distilled water into your diffuser then add 2 to 3 drops of tangerine EO. All you have to do is switch the diffuser on when you get up in the morning. Everyone in the household will get a quick, calming pick-me-up to start their day off right. Give your metabolism a kick-start with tangerine essential oil morning ﻿﻿aromatherapy﻿﻿. It will give your metabolism a boost to start your day right and put some pep in your step. An increase in your metabolism will also help you reach a healthy weight. You only need to practice aromatherapy for 30 to 60 minutes to get the full effect. If you are feeling slow and sluggish, turn your diffuser on and take a few deep breaths of the steam. Tangerine is an intense citrus oil so you don’t need too much. Breathe it in deep into your sinuses. The metabolism-boosting properties will be absorbed into your system through your sinuses. Take 1 to 2 drops of tangerine essential oil internally to improve digestion. It gets your digestive juices flowing. Tangerine oil also helps your body eliminate toxins, reduces excess water weight and gets rid of belly bloat. Just add 1 to 2 drops to a glass of water in the morning, or a delicious breakfast smoothie, and drink it down. It is okay to take it internally and run your d﻿iffuser in the morning for tangerine aromatherapy at the same time. Make sure you use food-grade tangerine oil, though, if you are taking it internally. Sometimes tangerine essential oil that is sold for aromatherapy is mixed with other ingredients that you should not ingest. Massage a little tangerine essential oil into your chest and wrists to ﻿alleviate ﻿﻿anxiet﻿y and nervousness. It has a wonderful calming effect. Mix it into a carrier oil before applying it to your skin. You can use any carrier oil you prefer with tangerine EO. Use 1 drop of tangerine EO with 1 teaspoon of carrier oil. Practice tangerine essential oil aromatherapy to lift your spirits. It has the ability to induce a generally happy, joyful state of mind. You can also mix 1 drop into 1 teaspoon of a carrier oil and apply this to your wrists and chest for the same effect. Use it a bit like a perfume. You will smell fresh and feel happy. You may even improve the mood of people around you when they stand close enough to smell the tangerine fragrance. Massage your tangerine EO/carrier oil blend into your skin to cure fungal infections. This works on athlete’s foot or any type of fungal infection. Just don’t use it near your eyes. Tangerine essential oil’s anti-fungal properties clear the fungus up while making you feel calm and happy. You may want to make a slightly stronger blend for this wonderful use. Start out with 2 drops of tangerine oil to 1 teaspoon of carrier oil and see how well that works. You can kick it up to 1/2 teaspoon of tangerine oil with 2 teaspoon of carrier oil, if necessary but this strength should only be used for about 10 days. Apply a light tangerine essential oil/carrier oil blend to acne. Its antiseptic properties help your skin heal quickly. Use the lighter strength – 1 drop of tangerine to 1 teaspoon of carrier oil. Be careful not to get it in your eyes. Argan oil is a great carrier oil for this. It is light, absorbs quickly so you don’t look oily and has some great skin-improving properties of its own. Use tangerine essential oil to prevent infections in wounds and sores and speed ﻿healing. Tangerine EO actually encourages new cell regeneration with its cytophylactic properties while its antiseptic properties kill infectious staph bacteria. You can use the stronger dilution rate of 1/2 teaspoon of tangerine oil with 2 teaspoons of carrier oil for 7 to 10 days then switch to the milder dilution rate. Apply a mild tangerine EO/carrier oil blend to your scalp to eliminate ﻿dandruff﻿, dry scalp and other scalp conditions. Its toning and antiseptic properties will quickly improve the health of your scalp. Gently massage the oil into your scalp, wait 30 minutes or so then wash your hair as usual. You can also add a few drops of the oil to a mild shampoo and conditioner, if you like. I usually add 5 to 10 drops of essential oil to about 1/4 cup of shampoo or conditioner. Your scalp will be clean and healthy and your hair will smell delicious! Use your mild tangerine EO/carrier oil blend to fade scars and ﻿﻿﻿﻿﻿﻿﻿﻿stretch﻿﻿ ﻿﻿﻿﻿﻿﻿mark﻿s. Argan and coconut oil are great for this but really any carrier oil will work. Just use whatever you prefer. You may want to experiment with a few different carrier oils to see what works best for you. Mix only 1 drop of tangerine oil to 1 teaspoon of carrier oil. Massage the blend into areas with stretch marks and scars for a few minutes twice a day. Massage a mild tangerine essential oil/carrier oil blend into your skin to get rid of cellulite. It helps tone your skin and improves circulation to remove ﻿toxins and cellulit﻿e. Do a strong, deep massage with the blend on thighs, backside and belly a couple times a day. You can use any carrier oil you like for this but coconut oil makes a wonderful massage oil and also helps alleviate cellulite. Keep in mind that you can mix your carrier oils, too. I prefer to use 1 teaspoon of coconut oil with 1/4 to 1/2 teaspoon of argan oil for my carrier oil. It seems to absorb more quickly than plain coconut oil. I mix these two together then add the essential oil. Use your tangerine oil blend to stop muscle and nerve spasms. Its antispasmodic properties help relax and soothe muscles and nerves to stop the spasms. Keep the blend handy for use as soon as you begin to feel a spasm. Do a deep, firm massage with the blend until you feel the spasm subside. If you use coconut oil as your carrier oil, its anti-inflammatory properties will help prevent any long-term soreness from inflammation. Was this list helpful to you? I was amazed by how many wonderful uses there are for tangerine essential oil. With its incredible fragrance and amazing health benefits, this is definitely an oil to keep on hand. An essential oil that literally makes you happy and improves your health is a must-have. If you enjoy citrus essential oils, I hope you will give this one a try. I’m sure you won’t be disappointed. Please leave a comment to let me know if this list helped and share your own personal experiences with tangerine essential oil. We can all learn from each other’s experience with this oil and keep adding to the on-going list of its great uses. Be sure to share, too, so that others can become aware of all the uses for this essential oil.